Pastoral Care at Marden Church - Looking after one another. Every Church is called to be a family made up of very different people united in love and faith in God. As a family we care for one another and help each other when and where we can. We are all called to help and serve the community that we are part of too, whether or not they are part of the Church. In our Village we are all involved in caring for one another. Care takes place naturally in many ways as we support and encourage each other. From time to time, however, we may need more particular help and at Marden Parish Church we have people who are trained and happy to help in a number of ways. The Ministry Leadership Team has reviewed the wide range of pastoral activities already in hand in the parish. 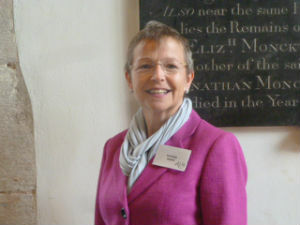 Details of the pastoral care offered by members of Marden Church are listed on the Pastoral Care leaflet which may be found on the dresser just inside the church door. Amongst these are the Community Lunches, Village Cafe, Baptism Group, Volunteer task force and visiting. At Marden church, we have a team of pastoral visitors (all DBS checked) who are available to visit people in their own homes for a confidential chat. There are all sorts of reasons why someone might welcome a visit. It may be that person has recently been bereaved, is new to the challenges of parenthood or is just feeling a bit lonely or worried. But we can’t visit if we don’t know about the need. So will you help us, by being our ‘eyes and ears’ around the village?